The CBDfx Fresh Mint Vape Pen allows you to enjoy our high-quality, organic hemp in a spectacularly delicious and truly convenient way. Each CBD Fresh Mint Vape Pen is completely disposable and draw-activated, meaning there are no buttons to push to operate the device. Plus, it arrives fully charged, allowing you to simply remove it from its box and vape away. 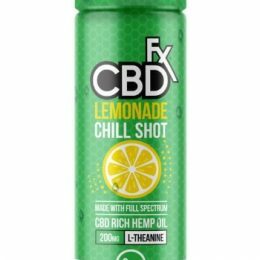 We at CBDfx want to make it as easy as possible for you to get the perfect amount of full spectrum, organic CBD throughout the day. With the CBD Fresh Mint Vape Pen, you get a travel-friendly vape pen that’s discreet and requires no knowledge of advanced vaping technology. Best of all, you can simply throw each vape pen out and grab a new one when it’s empty. Each pen contains our famous 30mg organic, full spectrum CBD as well as vegetable glycerin, propylene glycol and natural flavors. The mint taste blends beautifully with the herbal flavor of our high-quality hemp. The inhale is cool and refreshing thanks to the flavor of freshly picked peppermint leaves. The exhale is satisfyingly icy and full of that earthy hemp taste. 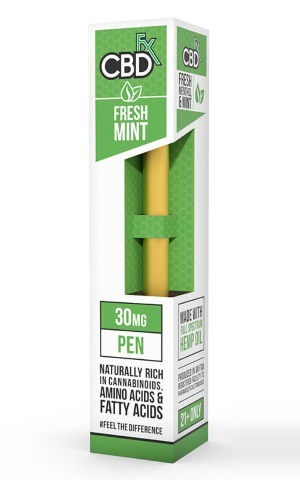 These pens don’t contain any cheap filler ingredients that reduce the effectiveness of hemp. Providing our customers with the very best CBD that’s out there, we believe that organic, full spectrum CBD is the only way to go. The strong relationships with organic hemp farmers allow us to deliver the very best CBD available. Organic CBD has higher levels of nutrients such as essential fatty acids and various vitamins. With full spectrum, it contains all the nourishing components that exist within the hemp plant. 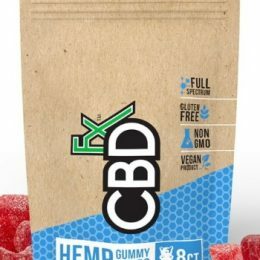 Perfectly formulated for those looking to try CBD dosing. No maintenance at all required. This is a single-use CBD vape pen that is ready to be used upon arrival. For a simple-to-use, discreet vape pen that will deliver the dose of CBD you need, the CBDfx CBD Fresh Mint Vape Pen is the ideal choice to use. Do I need anything else to use the CBD Vape Pen in Fresh Mint? No – this product is made for those who want the most straightforward path to being able to vape CBD within seconds of holding the package in your hands. No additional hardware or vape juice is required — everything is pre-formulated and ready to go, no charging required, as soon as the mail comes. Can you vape CBD for sleep disorders? The scientific and medical communities are currently in the process of researching this incredible compound to determine all of its potential uses. The truth is, a responsible scientist would say that there’s no hard evidence yet of CBD causing improved sleep. However, a quick search of the internet reveals a massive community of CBD users who — anecdotally — are using CBD to treat a wide variety of sleep disorders. We invite you to visit our CBD knowledge hub to find out more about what the facts say about CBD and sleep. Yes! With 30mg of full-spectrum CBD, this is a perfect formulation for those looking to try CBD dosing. There are no additional steps to take or liquids to mix, nor are there vaporizers which require charging or setup. This is a single-use CBD vape that is ready to go as soon as you get it. 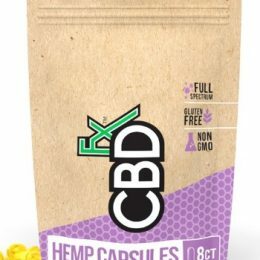 Our whole mission at CBDfx is to provide CBD users with the widest possible variety of ways to dose CBD. The CBD Vape Pen in Fresh Mint flavor is all about simplicity, ease of use, and discretion. Literally the size of a pen, this sleek disposable CBD vape is a convenient companion for CBD aficionados that are on the go or traveling. Or, maybe you’re just not into mixing or refilling your own e-liquid and you’re just looking for the simplest path to vape CBD without too many bells and whistles. If so, it doesn’t get much easier than this. Slip the pen out of the packaging and vape away!